Google’s grand plan for the smart home is coming together this week so, naturally, after its big hardware event in New York City this week, it makes sense that its software is getting a big upgrade as well. Quietly announced in the wake of the widely anticipated Google Home Hub announcement, the company revealed a fairly major overhaul of its Google Home App not only to take advantage of new devices like the hub and its new Pixel smartphones but also to reduce some of the hassles of smart home technology that can pose hurdles to the technology’s adoption. One of the most pestering things about smart home technology for us is the proliferation of apps out there. It’s great for everybody to have produced more than 10,000 smart home devices but every single one of them has a proprietary app to run the things. Google is doing their best to fix this conundrum by putting all of your smart home devices under a single umbrella. The new Google Home App features a prominent tab that includes a breakdown of your entire smart home by room and device. Google was pushing the artificial intelligence parts of its platform pretty hard in New York, and that technology seems to be invading the smart home as well. The new and improved Google Home App can use shortcuts to activate multiple commands, as would be expected, but the app can also automatically generate quick actions like turning on and off lights and broadcasting commands to other devices based on your behavior and routines. For a couple of generations who are dealing not only with young children but also aging family members, Google has smartly added a feature to let users remotely monitor and control other family members’ smart homes. They’ve also added a feature to let users connect with more tech-savvy family members to help them set up their smart home devices. 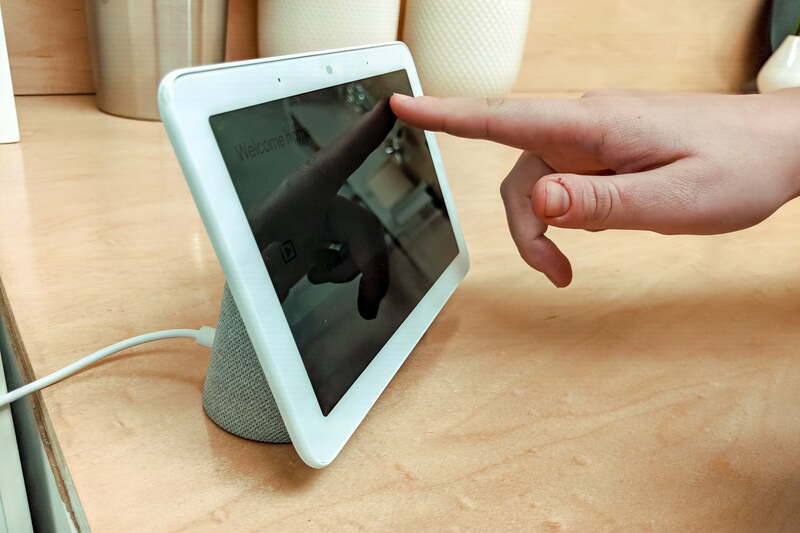 Naturally, all of these features and commands can be accessed remotely via the Google Home App on any connected device, be it a smartphone or the many tablets and touchscreens that seem to multiply by the day. You can check in on any of your connected smart homes from wherever you are and make adjustments on the fly. In terms of the control scheme itself, the new Google Home App also goes out of its way to make Google Assistant easier to access and use — in fact, the Google Assistant is accessible right from the app. The Google Home support page has also been updated to support playback speed controls for news and podcasts. Specifically, users can play at double the speed, ‘play slower or faster,’ or play at half speed. Audiobook users will be familiar with this feature but this is the first time it’s been available for news and podcasts. Users can also ask Google Home to read news about a specific topic.